In the midst of a chilly afternoon on Virtue Field, the UVM men’s lacrosse team played Hartford University. The Catamounts held the Hawks scoreless for the first three periods of the March 23 game. UVM won with a final score of 15-6. 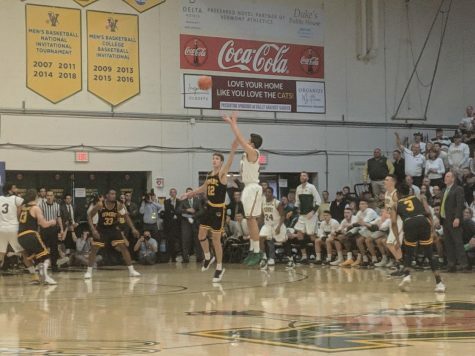 The game began with nearly nine minutes of attempted shots, each team missing a few times before the scoreboard changed. With six minutes left in the period, sophomore attacker Liam Limoges scored unassisted, which helped the Catamounts’ offense. A minute later, junior attacker Ben French scored five goals in this game, a career high for him. His first goal was from an assist from senior midfielder Jack Knight. Knight would go on to provide three more assists in the game, two of which were to French. Just a few seconds after French’s first goal, sophomore forward Alex Semler suffered a one minute penalty for an illegal body check. Despite this, UVM scored two more times in the first period. The first five minutes of the second period went by with no goals. 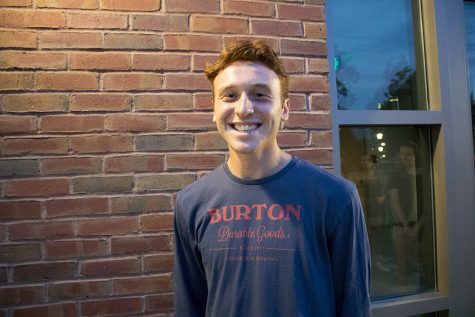 First-year midfielder Sal Iaria scored with the help of an assist from first-year midfielder Thomas McConvey. Throughout the game, four different Vermont first-years scored goals, including first-year attacker Per-Anders Olters. 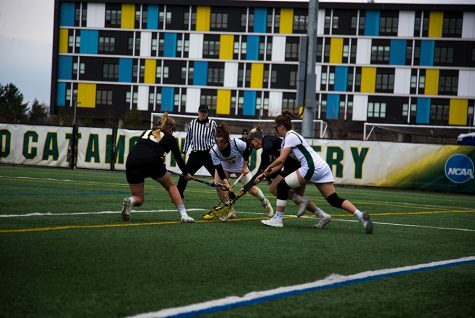 Olters is the first NCAA Division I lacrosse player from Germany and in this game became the first German to ever score a Division I goal, according to UVM athletics. The second period also saw two more goals by French, who said that he was thrilled with the team’s victory. “We brought a different intensity from the start, especially on possession to set the tone for the rest of the game,” he said. The third quarter brought in two goals from captain attacker Dawes Milchling, a senior, as well as another by French. 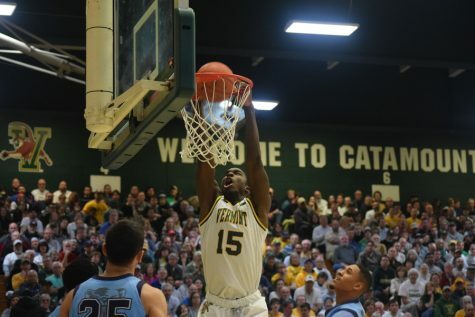 Milchling recorded at least one goal in all sixteen games last year for the Catamounts and didn’t score this season in just two games, according to UVM athletics. In the fourth period, Hartford scored after UVM starting goalie Nick Washuta, a junior, was removed. Washuta recorded his fourth straight game with double digit saves, and said he was visibly excited after the win. 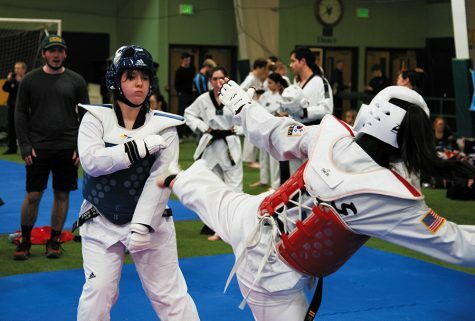 “I couldn’t have done it without the defense surrounding me. 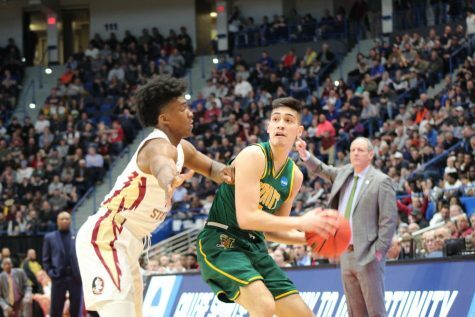 They were letting me see shots, and I felt really good with them playing,” he said. He also said that he was pleased with the orange ball used in the game. An orange ball is used when a backdrop of too much snow could hinder players’ ability to see a typically white game ball in play. 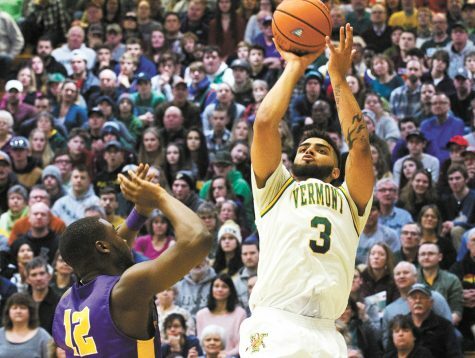 The game marked the seventh straight home victory going back to the 2018 season for the Catamounts, according to UVM athletics. Head coach Chris Feifs said that he was pleased with his team’s win. 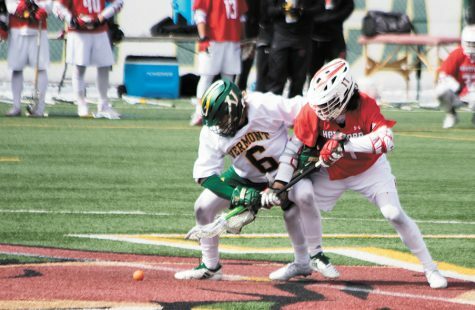 The next men’s lacrosse game is at 7 p.m. March 30 at University of Massachusetts Lowell, followed by a 2:30 p.m. April 6 home game against the University at Albany.